Tea with Trolls – Yay Words! 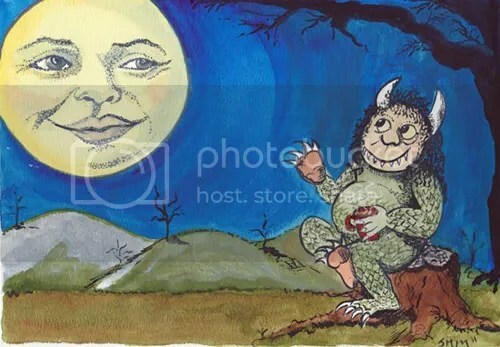 I have made a PDF for download of “Tea with Trolls.” All the same content with better, tidier layout, including the credits and poets’ websites. When I first asked for poems, I expressed that there were two things that I simply adored writing about: tea, and trolls. What started out as a guilty pleasure turned into an abundance of material that made me squirm in my seat with glee. This was more than I could have hoped for. I tried to arrange things in a neat order, hopefully to your liking. 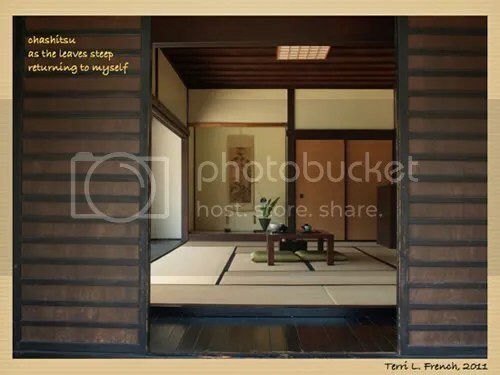 There is approximately 27 poets total represented with haiku, tanka, senryu, kyoka, haibun, haiga, and more. See a poet you like and can’t get enough of their work? Scroll down to the bottom for credits and links. Maybe they have a blog or website with more poems for you to explore. And so, you are cordially invited to sit back, have some tea, kick up those feet after a night of trick-or-treating, handing out candy, or hiding behind your couch with the lights off so those pesky costumed kids will leave you alone. You deserve a treat; these poems were most certainly mine. into a chipped cup . . .
sweet tea . . .
with those big bug eyes . . . I always suspected that there was more to the seemingly innocent bedtime stories my parents used to read to us than met the ear. My five-year-old brain recognized them for what they were: cautionary tales meant to impart valuable life lessons. Still, knowing that didn’t diminish the pleasure of listening to my dad’s low rumbly voice as he read to me, even when he sometimes surreptitiously tried to skip an entire page when he thought he could get away with it. The moral of “The Boy Who Cried Wolf” was obvious enough, just as “Little Red Riding Hood” was a thinly veiled tale about Stranger Danger. But exactly what the point of “The Billy Goats Gruff” was, continued to elude me. They were saying it was okay to dump my problems on my older sibs, and violence was justified? such a gracious hostess. . . This is a magnificent collection, just in time for All Hollow’s Eve! Great job in selection, and great work on the part of the contributors. Thanks for sharing!! aubrie, i’ve truly enjoyed this collection and will return to it many times! a very nice hallowed treat indeed! This is a wonderful collection! Now I’m gonna drink some tea and hunt some trolls! C’moooon Natural 20!! What great timing. Thanks for putting this together, Aubrie. So much here to make me smile. Honored to be included and to read my husband’s first “published” senryu!! 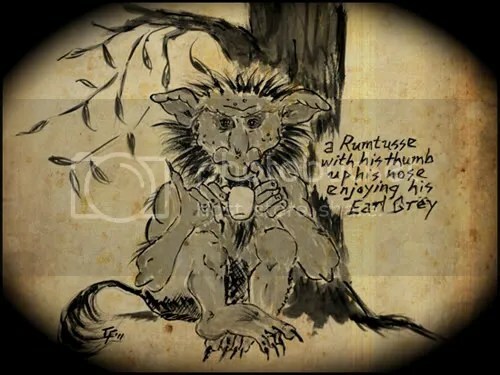 Tea With Trolls is both lovely and spooky; thanks for including my work. Such a lovely and timely collection! Well done, Aubrie, and thank you for including my work! What fun! You should put together an anthology Aubrie. Such talent here! Even better the morning after! Me and this article, sitting in a tree, L—–R-NAIEN-G! hi aubrie- this is just wonderful! I’ll be coming back to read and enjoy- so many riches! What an enjoyable read, a fine collection of poems. Time for a refill of my orange pekoe! WOW! Some of them are the real jems! Thanks for sharing! Aubrie, thank you for including my poem in this lovely collection. That is a spectacular collection of poems, pictures and artwork. And thank you for featuring my poem. beautifully presented, Aubrie. I’m impressed with your insight into this layout process as well as the contributors you pull together here. 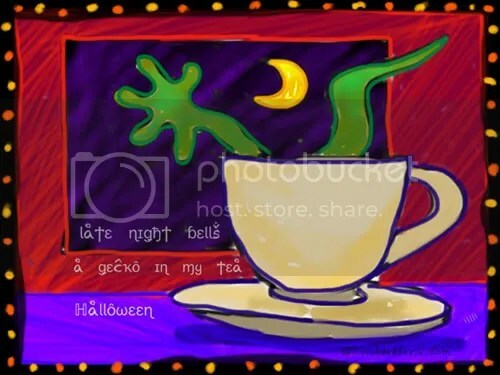 a way fun assortment of tea and monster creatures… I’m delighted and honored that my work is included among these terrific visuals and writings around haiku. thank you for a monster effort. yeah, way fun. aloha – rick. Great collection! Thanks for sharing all the poems!